Fourth of July – Seize the Day! Now is the time to seize the day. Send out the call and join the fray. Wrongs will be righted. If we’re united. Let us seize the day! That was the message the fabulous group of musical kids, teens, and adults sang out from the Addison County Democrats Bristol Fourth of July Parade float last week. 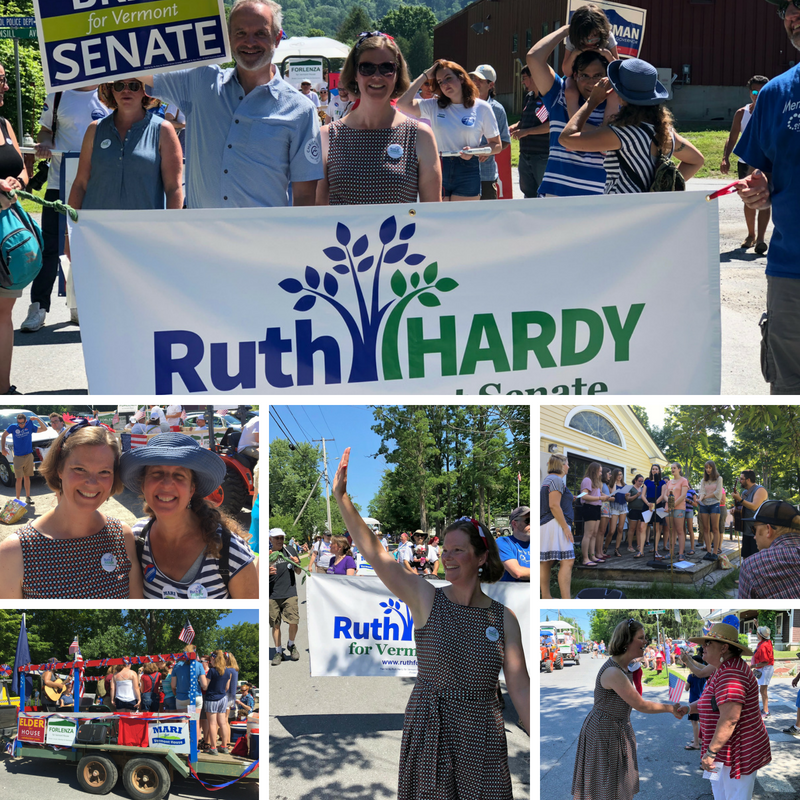 It was really HOT but we had so much fun shaking hands, meeting people, and marching in the parade with our fellow Democrats and supporters. Thanks to everyone who helped make it happen, including the people along the route who greeted us so enthusiastically! You can check out more photos and a video of the performance on the Facebook page. Next postSigns, Phones, Doors – Volunteer Today!